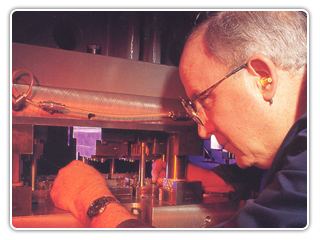 We offer full service product and tool design with a wide range of capabilities in precision stamping. Our custom stamping staff includes a team of design and manufacturing engineers, skilled tool makers and setters and quality control technicians who combine their expertise to design the most effective and cost-efficient products. We ensure design specifications are met to support various industries including medical, lighting and electronics among others. Examples of products include battery components, diagnostic studs for EKG pads, clips for blood collection bags and fasteners for privacy curtains. Small component custom stampings can be produced in large volumes from brass, copper, steel, stainless steel and aluminum. 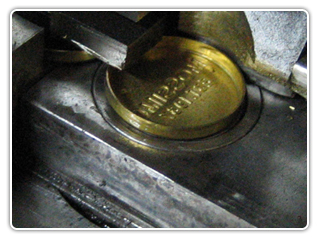 Tooling is produced and maintained from tool steel and carbide. We offer progressive, transfer and four slide tooling. Our CAD/CAM capabilities complement our extensive stamping press, coil and wire forming capacity. Wire EDM, computer controlled lathes and laser cutting technology enhance our capabilities to meet your needs.